Last week, we focused more on Spring style essentials for the ladies. 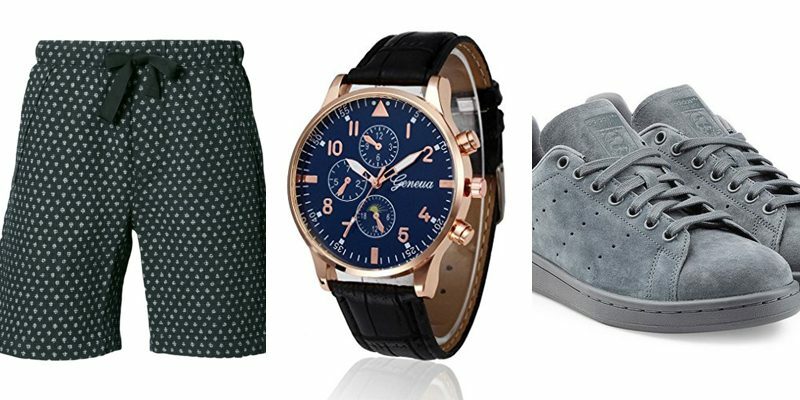 This time we are going to focus on the counterpart; men style updates. I mean it’s only fair, right? If you are looking to do some wardrobe-upgrading then you have came to the right place. Check out these 5 style essentials for the Spring. Guys love to wear sneakers with suits but the cooler ones to wear this Spring are suede sneakers. We all like to be comfortable, whether we are running errands or going out. But it’s time to step it up from the cargo pants and go with some easy-going styled shorts. Dress it up, dress it down, hell you can go to the gym in style. It’s time to take a vertical leap and forget worrying about looking like a referee. You and your stripes should be through thick and thin, and put in reverse this season. Reboots that capture the classic appeal of the 1930s. Eternal style that is timeless. A style perfect for a zoned-out weekend. It’s a layered outdoor staple and that is all there’s to it.